At the end of a year in which the limited releases from Blackman's have been prolific and innovative in equal measure – tomato and basil gose or seawater IPA, anyone? – they've had time for one more. 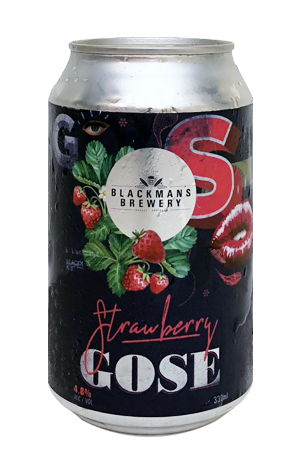 It's sees them return to the gose style they've explored in many ways over the past year or two, this time opting for a relatively sane adjunct in the form of strawberries. The colour doesn't give much away, but the aroma does the job instead, where a soft strawberry essence is met by both saltiness and sourness, both delivered with subtlety in a drink that's still distinctly a beer, which can't always be said about some of the fruitier releases coming our way these days. They've been nailing their takes on the style recently and this, with its lovely fine and sprightly carbonation, makes for a cracking hot weather quencher.